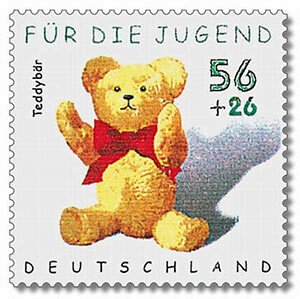 Want to know more about the ‘birth’ and success story of the cute teddy bear and all kinds of information about teddy bear days, teddy bear records and teddy bear museums? Click on our headlines. And then ... happy reading! Flowers and teddy bears – sooooo cute! It's not only little children who like to cuddle them, ‘grown-ups’ also find their hearts melting at the sight of them, put them on display and even collect them: teddy bears. At Fleurop, they are now also available with flowers. Because whether given as a charming gesture, after a birth, to cheer someone up or as a get-well message, absolutely everyone loves the cuddly bears that remind us of our childhood. That’s particularly true of Fleurop’s large sitting bears at around 25 cm tall. Because they’re lovable and a little bit mischievous. And they’re also available in white and brown. 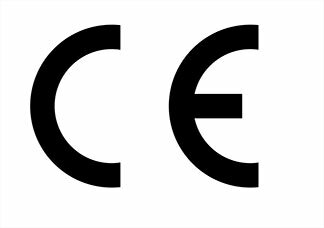 They have the CE label because they meet the EU’s ‘basic safety standards’ and other criteria. 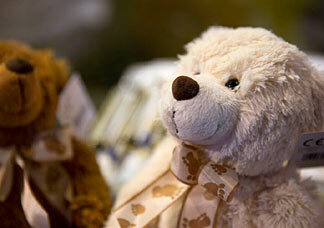 By the way, you have a choice: you can order the teddies singly or as a couple. And you can combine them with any floral gift from our shop, or opt for a gift set in which the little bears with the cuddly effect can be included among the flowers by the professional florist. You want some of that cuddly feeling? You’ll find our suggestions on flowers & teddies HERE. 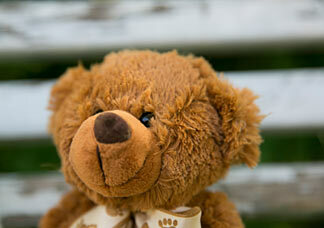 The story of the teddy bear began in the USA in the early 20th century. In November 1902, the then US President Theodore Roosevelt visited the state of Mississippi, where he had been invited to a bear hunt by the state governor. As, however, few wild bears were in evidence that day, they caught a black bear, tied it to a willow tree and urged the President to shoot it. However, he considered such an act unsporting and refused. A caricature then appeared in the Washington Post of 16 November 1902. It showed Theodore Roosevelt, ‘Teddy’ to his friends, with a cute little bear. Inspired by this drawing, New York confectioner Morris Michtom produced a little stuffed toy bear, which he placed in the display window of his Brooklyn store. Although at the time bears were deemed to be dangerous predators, this little bear won people’s hearts. 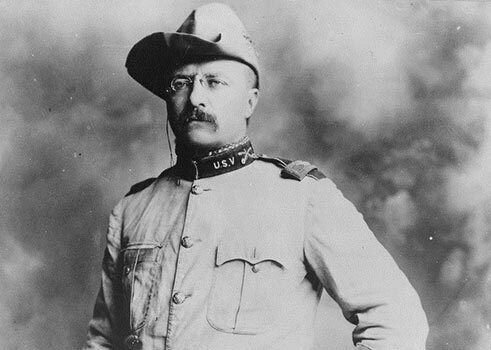 Roosevelt is said to have given the Michtoms written permission to call it ‘Teddy’s bear’, and in 1903 the family founded a toy factory where their products included teddy bears. A gift of a teddy bear with flowers? The shop is HERE. As chance would have it, the German toy manufacturer Steiff in Giengen was thinking about producing toy bears at the same time, although Margarete Steiff’s company was faring very badly at the time. However, in 1902, her nephew Richard had produced a stuffed bear with jointed limbs. And it brought them luck, although not straight away. In early 1903, it was sent to the USA but was apparently returned because it wasn’t popular there. After that, Steiff showed it at the Leipzig Toy Fair. An American entrepreneur then ordered 3,000 of these bears, and a year later orders at the World’s Fair in St. Louis came to 12,000. They were universally known as ‘teddy’, and the name has stuck up to the present day. Later on, Roosevelt even used the teddy bear as a mascot in his election campaigns. Teddy bears have changed since those days. Older models still had a pointed snout. But it became rounder (and cuter) from generation to generation. However, the name remained: ‘Teddy’! You will find a cute teddy bear with flowers HERE. 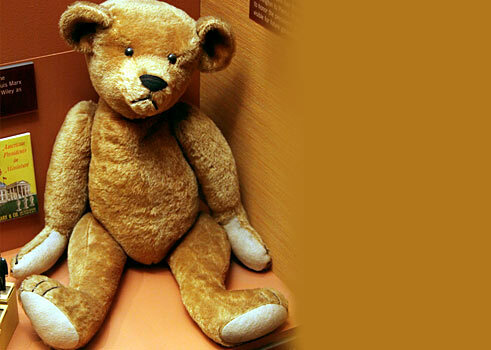 Some teddy bears are only known to their owners ... and others are genuine celebrities. For example, Pooh Bear (more commonly known in the UK as Winnie-the-Pooh), who has actually been honoured with a star on the Hollywood Walk of Fame. But who is he? 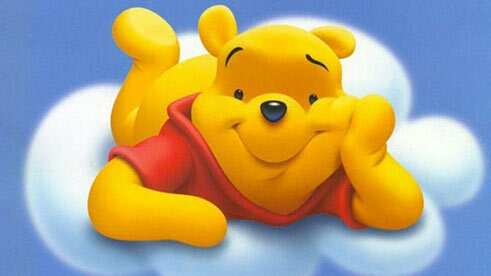 Pooh Bear is the main character in a children’s book by Alan Alexander Milne, written for his young son Christopher Robin in 1926. Pooh Bear is the central focus of the story: a good-natured, rather slow and forgetful chap who lives in the Hundred Acre Wood, likes to eat honey and sings funny little songs. 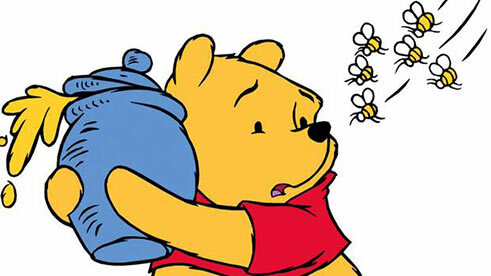 Honey-obsessed Pooh got his name when he floated, clutching a balloon, to the top of a tree because it contained a beehive. To deceive the bees into thinking that he was a little black cloud in the blue sky, he had rolled in mud and chosen a sky-blue balloon. However, the plan backfired. There was no wind, and Pooh failed to reach the nest with his balloon. His friend Christopher Robin had to rescue him by shooting a hole in it with a cork gun. However, because Pooh’s arms had held on to the balloon-string for so long, he couldn’t get them down for a long time. They stayed up in the air ... so he couldn’t chase away the cheeky flies that settled on his nose. He could only blow them off, and in doing so made a ‘pooh’ sound. You will also find funny little bears HERE. Another heart-warming bear is ‘Paddington’, a character who first saw the light of day in Michael Bond’s first children’s book in 1958. In this first of a series, an English family encounters a bear from darkest Peru at London’s Paddington Station. Mr and Mrs Brown find the bear on the platform when they’re picking up their daughter Judy from the train. The little bear has a label around his neck that says: ‘Please look after this bear. Thank you.’ Mrs Brown thinks they should take him with them because otherwise you never knew what might happen to him. And because he doesn’t seem to have a name, they call him after the station where they met him: Paddington. The bear is really special. He can talk, has good manners and loves marmalade made from Seville oranges. And he has clothes. He either wears a yellow hat and a pale blue jacket, or a red hat and a dark blue duffle coat. With Paddington’s arrival, stirring times begin for the Brown family. Although the bear is well behaved, he’s forever getting into trouble. ‘Things are always happening to me,’ is his constant refrain. ‘I’m that kind of bear!’ The Paddington books were so popular that they became the basis of a televised cartoon series and were actually made into a film in 2014. You'll find the shop HERE.